In Part III of our running NBA Draft Preview, I’m going to take a look at some of the best possible fits in the first round. The lottery has now been held, which means we know the full order in which teams will pick. Based on that order, as well as the general projections for where players could be considered, we can start to analyze some of the best possible scenarios for teams and players alike. These are some of the best possible fits in the draft. By all accounts the Suns are down to Luka Doncic or DeAndre Ayton for the number one pick, assuming they keep it (and there’s some buzz that they won’t). I’m about as big a believer in Ayton as there is, but Doncic feels like a perfect fit here for two big reasons. The first is that the Suns have been on a long and fruitless search for a franchise point guard ever since Steve Nash left before the 2012-13 season. Per Basketball Reference the team has listed 21 different players at point guard since that season, not including combo guard Brandon Knight. Eric Bledsoe held the starting role for a while, but mostly it’s been a string of disappointments and strange moves: Goran Dragic was moved to shooting guard and then let go, first round picks on Tyler Ennis and Kendall Marshall were wasted, Isaiah Thomas was squandered, and so on. 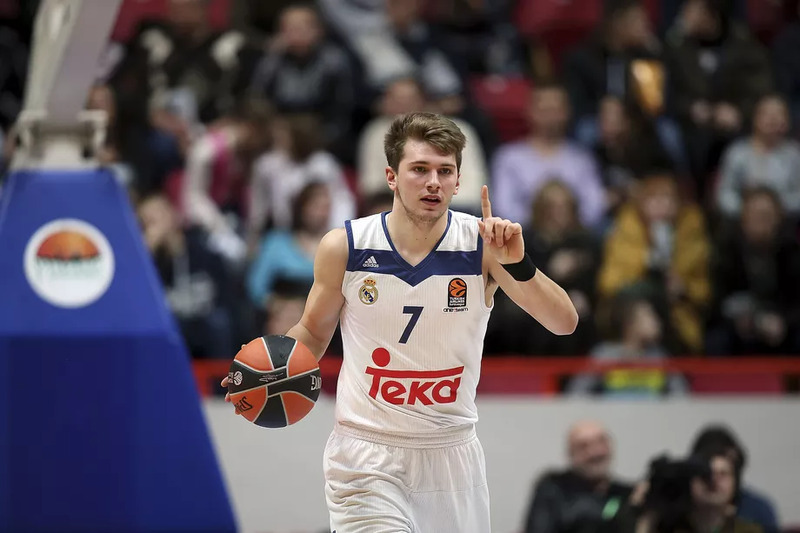 Doncic is the point guard they’ve been waiting for. The second reason this fit makes sense is that there are rumors out there tying the Suns to Houston big man and rising star Clint Capela. He’s a restricted free agent this summer and it’s been said that Phoenix is preparing a big offer – one that Houston could probably work out a way to match, unless it’s saving money for a LeBron James pitch. Capela and Ayton make no sense whatsoever together; Capela and Doncic, alongside star shooting guard Devin Booker and athletic wing Josh Jackson, is the start of something very interesting. In my opinion this is the most obvious fit in the 2018 NBA Draft. Despite actually finishing 11th in the league in assists, the Orlando Magic are currently set up to enter next season without anything resembling a respectable point guard rotation. The team gave up on once-allegedly-promising prospect Elfrid Payton midway through the season and then relied on DJ Augustin to start 36 games. Shelvin Mack started three as well, and beyond those two there isn’t a point guard on the roster. 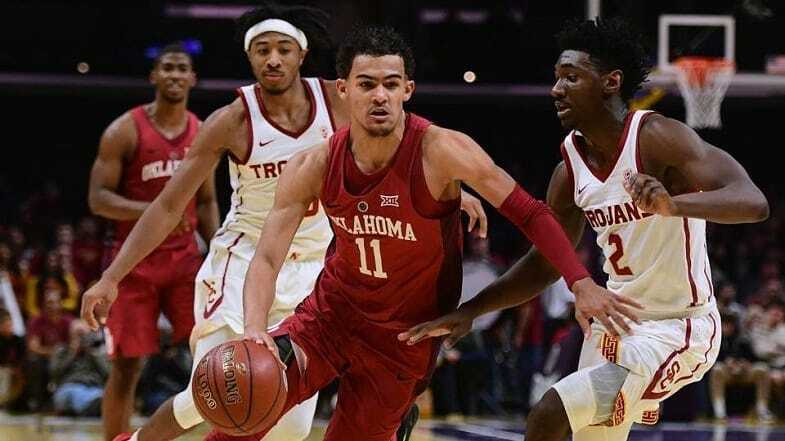 Trae Young is not a sure thing, and he’ll do little to help the Magic improve upon their 20th place finish in defensive efficiency this past season. However, he did lead the NCAA in scoring and assists, there is a touch of Stephen Curry in his game, and the Magic are bad enough to swing for the fences. The team has focused primarily on big men of late, having selected power forward Jonathan Isaac in last year’s draft, paid Bismack Biyombo a whopping $72 million in 2016, and seemingly decided to build around Aaron Gordon. There are also plenty of shooting guard/small forward types on the roster. What the team doesn’t have is a point guard who can push the pace, set up teammates, and consistently knock down shots. Young is ideally suited to fill these roles, and if he reaches his ceiling there would be a new era of Orlando basketball. This one is a little bit of a flyer, because Boston doesn’t pick until number 27, when Carter will be long gone. However, Celtics GM Danny Ainge has a war chest of assets that theoretically enables him to get any pick he’d like if he wants to trade up. Boston could even make a dramatic move for Ayton or Marvin Bagley III so as to snag an ultra-talented understudy to Al Horford who would be on the Jayson Tatum/Jaylen Brown career timeline. There’s definitely an argument for it. The Celtics could accomplish the same thing by going for Carter, however, and wouldn’t have to give up as much to do it. Carter isn’t quite the raw talent Ayton or Bagley is, but he flashed exceptional ability in his one year in college, and has even been compared to Horford. 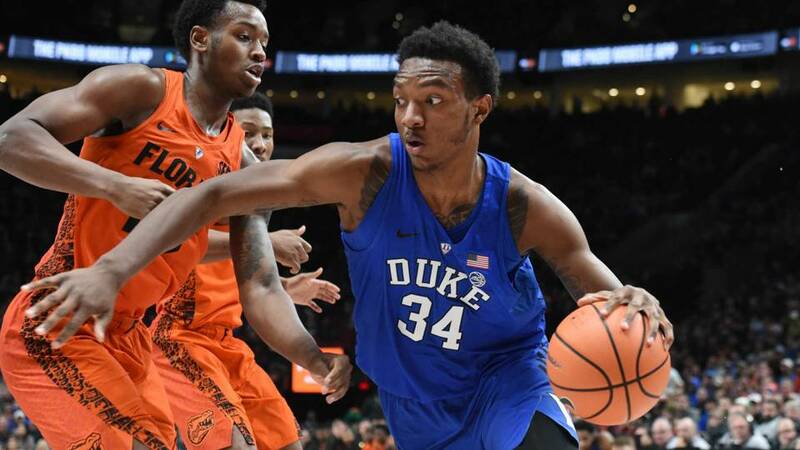 He’s an instinctive defender and excellent shot blocker with an NBA-ready body; he shot over 40 percent from three; and while he did have a propensity for getting into foul trouble in college, the consensus is that he’s a high-I.Q. player. He could be an ideal backup big man and an eventual replacement for Horford. Horford still has some good years ahead of him, but he’s 11 years older than Tatum and five years older than Kyrie Irving, and he’s expensive. When the time comes to pay Tatum and Brown, the Celtics may be very glad they have a guy like Carter to step in and take over for Horford. Due respect to the Pablo Prigionis and Jose Calderons of the world, the Knicks haven’t had an above-average point guard in over a decade. This hasn’t been particularly noticeable given that the Knicks have had plenty of other problems over this same timespan, but it’s the truth. It appeared initially that New York had drafted a point guard in last year’s lottery, but Frank Ntilikina has proven more effective off the ball and as a defense-first player. It’s very difficult to peg the best point guard in this year’s draft, but Sexton is the most exciting and (as noted in Part I of this rolling preview) possibly the most NBA-ready. He’ll likely be able to get to the rack right off the bat in the NBA, and he and Ntilikina could eventually form a devastating defensive duo. He’s not the best passer in the draft by any stretch of the imagination – but then again, he’d ultimately be working with one of the bigger and better targets in the league once Kristaps Porzingis returns from injury. 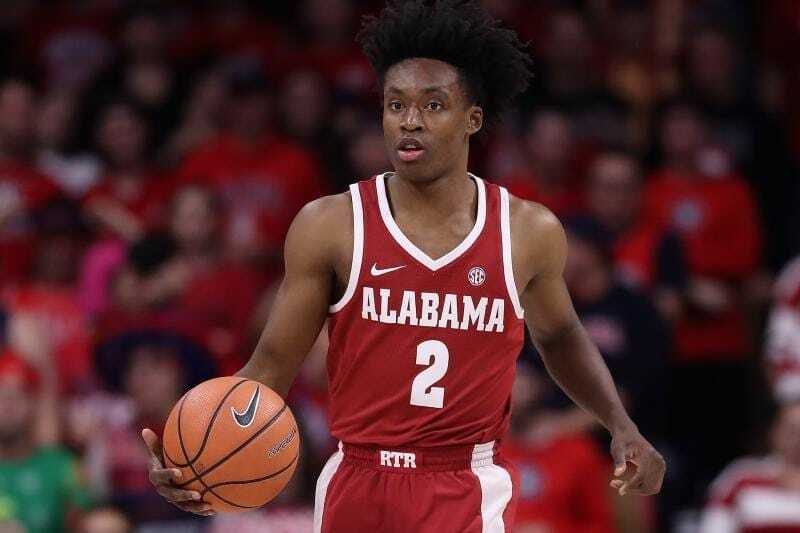 Perhaps most importantly, Sexton more than any other player who might be available at pick number nine would be able to electrify Madison Square Garden. If New York makes this pick, there’s at least a decent chance it’ll start to feel like they’re building something. Most mocks have Khyri Thomas going more toward the mid-20s, but he would be a pretty good get for Minnesota at 20 as well (or even later if they could trade down a few picks and perhaps snag a second rounder). Despite head coach Tom Thibodeau’s reputation as a defensive mastermind, Minnesota remained a thoroughly below average defensive team in 2017-18. It’s actually starting to be baffling. 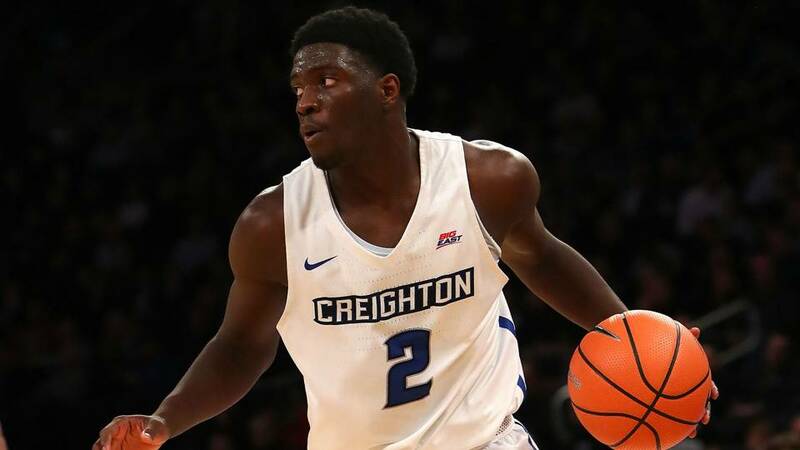 Khyri Thomas might be the best defensive guard in the draft, and would help to chip away at this problem from day one. He’s long, quick, and energetic, and he’s also 22 years old, which wouldn’t appeal to too many teams but might work for Thibodeau (who is obsessively no-nonsense by all accounts). Picking Thomas may even allow the Wolves to explore trading Andrew Wiggins, who simply isn’t working out the way he was supposed to, and who contributes to the defensive woes.. Theoretically, Thomas would start at shooting guard with Jimmy Butler sliding into Wiggins’s small forward slot, and just like that Minnesota would have an excellent set of defensive wings. Thomas also happens to have shot 41 percent from three in college, which would allow him to fit in nicely on a team that led the league with 41.3 percent shooting.